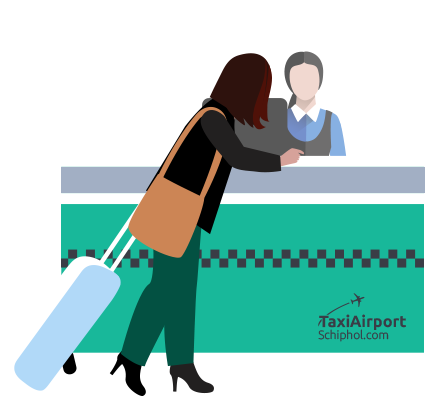 Taxi Airport Schiphol is a relatively new company and thus our goal is to provide high-quality services, at a rational price. Furthermore, there are several other benefits that we are pleased to offer to our customers. One of the benefits of choosing our taxi service is that you will be able to calculate the costs of the ride prior to ordering your taxi. This way, you can find out in advance how much your travel expenses will be, which guarantees that you are truly using a low priced service, without any hassle. Another benefit is the option to directly book your taxi ride through our website. No need for phone calls or having to wait to speak to someone; you can simply order your taxi online. You will definitely receive an email confirmation of your reservation. Moreover, our goal is to always provide you with the best possible service, and to ensure that you will make it to your destination on time. Therefore, it is important for you to note down what time your flight will be taking off, so our driver can take any potential traffic into account. We advise you to arrive at Schiphol with plenty of time to spare, as it is always possible to encounter unexpected circumstances. Our team at Taxi Airport Schiphol is 24 hours available everyday to provide you with the service you need. Order your taxi on our website, or feel free to simply give us a call. It would be our pleasure to tell you more about other services we might be able to provide you.